MasterWall polystyrene wall cladding is an external lightweight, fibreglass reinforced, insulating cladding systems that has been specaifically developed to meet Australian conditions and is based on proven technology used extensively throughout Europe and North America for more than 60 years (also commonly referred to as EIFS External Insulation Finishing Systems). The complete system includes the application of approved acrylic render systems, frame wraps, trims, sealants and opening flashings that combine to create lightweight products like styrofoam sheets, polystyrene sheets and foam cladding, weather-tight building envelope. The MasterWall system has passed rigorous testing to achieve CodeMark accreditation and Bushfire Attack Level BAL 29 and a Cyclonic C4 Rating. No other wall cladding product can claim such a wide range of benefits including energy efficiency, design flexibility and economy. 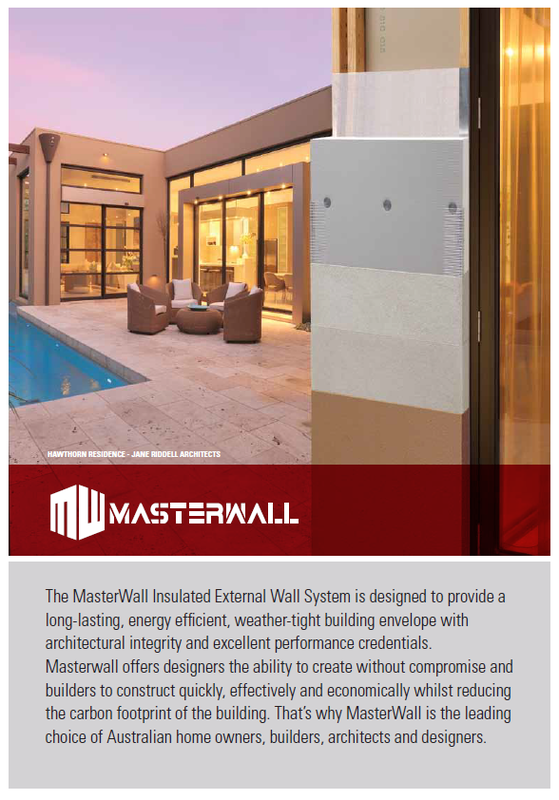 For more information including a summary of performance and product details, download a printable PDF version of the MasterWall brochure. MasterWall has become synonymous with insulated external polystyrene cladding wall systems, pioneering the complete-system approach that is now established as industry best practice. 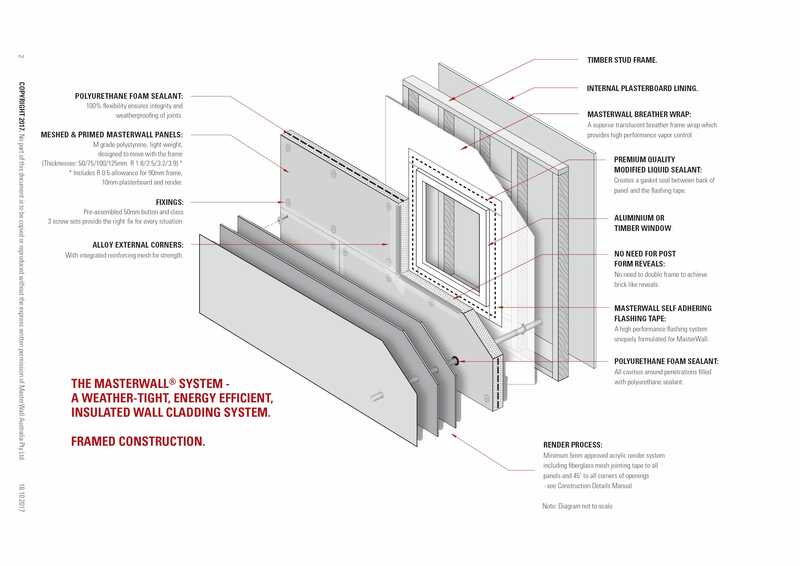 The MasterWall system meets all Australian conditions (CodeMark accredited / Bushfire Attack Level BAL 29 / Cyclonic C4 Rating) to provide a long-lasting, energy efficient, weather-tight building envelope with design flexibility, economy, excellent performance credentials, and a low life cycle cost. That's why MasterWall is the leading choice of Australian builders, architects and designers.